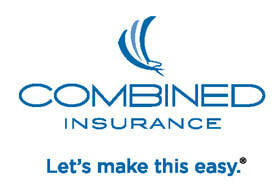 Featured Product - Combined - Matrix Insurance Marketing, Inc.
Matrix is proud to introduce Combined Insurance Company's U-Select line of voluntary plans. The plan offering includes Accident, Cancer, Critical Illness, Disability, Life Insurance and Limited Benefit Medical coverage (not all products are available in all states). All of the plans can be either enrolled as a voluntary group plan or individually. This makes meeting participation requirements a breeze! Provides employees with additional money to help offset expenses or the loss of income should they be hospitalized. Provides employees with cash benefits to use for treatment, transportation and other related expenses associated with a cancer diagnosis. Provides additional money to employees if they are diagnosed and/or treated for any one of the following covered conditions. Provides funds to help your employee’s family pay debts in the event of a premature death.